Our Athena swimmers recently swam in the Queensland Short Course Swimming Championships at Chandler. All girls swam really well, recording personal best times. Congratulations to Lily Bauman, Ava Brickley, Michaela Brickley, Darcy Cole, Stella Cole, Julia Kater, Georgie Lea’aetoa, Taya Mackenzie, Georgie Roper and Natalie Shaw. 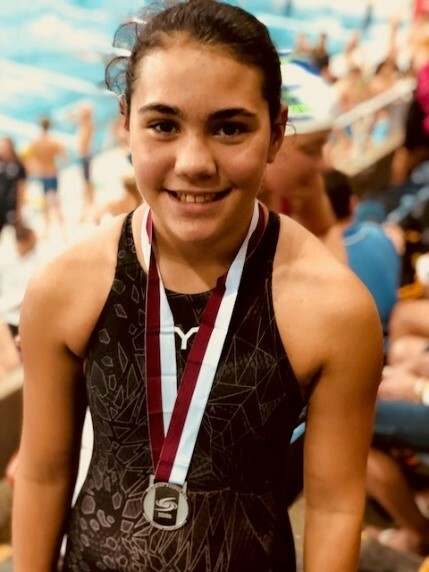 Dior Scholz (Year 6) has qualified for the South Coast Regional Athletics Team and will complete in the 100m and 4 x 100m relay in the State Titles in Cairns on 19 – 20 October. We wish her all the best. Jessica Cleverly (Year 7) competed in the Australian Classic Women’s Gymnastics Competition last week. She placed 10th overall and 2nd on Vault in the Level 9 Under 13 Division. Luar Burt (Year 7) recently placed 3rd in Beam and Overall in the Level 6 Under Regional Titles. Luar has been selected to represent the Gold Coast at the upcoming Regional Team Challenge. Lily Beaver, Sienna McMah (Year 7), Emma de Fazio (Year 8) and Nikki McMenamin (Year 11) will compete at the National Clubs Gymnastics Championships at the Gold Coast Sports and Entertainment Centre in the holiday break. We wish them all the best.